If you think you’re a real poker pro then you’ve come to the right casino! Go for that elusive Royal Flush in our various types of video poker games. If you’re into 5-card draw or prefer the ever-popular Texas Hold’em then you’re sure to find your new favourite online video poker game at 888casino. Video Poker requires skill, strategy, and a little luck to help you form the best 5-card hand. Players compete against the computer, not against other players. Video poker games are fun-filled attractions at 888 online casino Canada, and they're available on Android and iOS, PC and Mac. Power up and play any time the mood takes you. Players receive 5 cards face up, and the goal is to form the strongest-ranking hand. You decide which cards to hold and which cards to fold – it's the perfect strategy game. Canadian video poker players are in for an absolute treat! 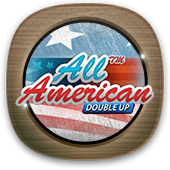 888casino features 3 of the finest video poker variants, including Deuces Wild Double Up, Joker Wild Double Up, and the legendary Jacks or Better Video Poker. These exciting games are readily available to our valued players. Simply login to 888 Casino Canada, place your bets and enjoy the games! Ready to go head-to-head against the computer? Almost! First, check out our Video Poker articles by the legendary player, Jerry Stickman for expert tips, tactics, strategies, and playing advice. We'll show you how to play to your strengths, while having a blast with Video Poker online. As a valued Canadian player at 888 Casino, you get to enjoy generous promotional offers. We'll gift you a whopping welcome bonus package when you register to play video poker games online. Whoever said that lowly Deuces are no fun? Cash in with Deuces Wild Double Up video poker at 888casino CA and go Wild with Deuces. All 2s (Deuces) act as Wilds and substitute for other cards to form winning hands. 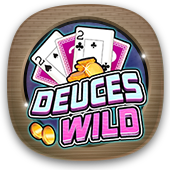 Play Deuces Wild Double Up for fun in demo mode, or play for real and score wins! 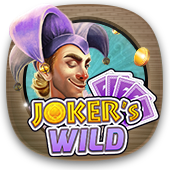 Joker Wild Double Up brings the best of video poker Multihand play to your screen. Pack on the fun with 25 hands of video poker at the same time. You've got 5 bet levels to play through, so it's ideal for casual players and high rollers alike. With this video poker game, there's also a Joker Wild, putting 53 cards in the deck. The Joker can help you form winning combinations by substituting for other cards. 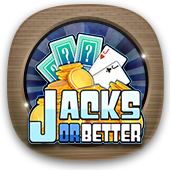 Jacks or Better is the king of the video poker ring. All you need is a Pair of Jacks, or Better, to win! Players can enjoy between 1 and 5 coins per game, with a Royal Flush paying out 4,000 coins. Let your Jacks do the talking in this video poker thriller!